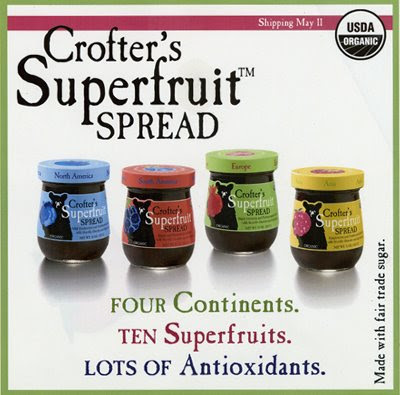 Crofters Superfruit Spreads. The Healthy Future of Jam. Speadable Fruit Gets an Upgrade. And the result is Crofter's new Superfruit Spreads that come in four worldly thick, gooey, superfruit flavors: Asia, North America, South America and Europe. Crofter's gives old-school jellies and jams some serious competition. Wellness Consumers Want the Best. Consumers are discerning enough to know the nutritional and taste difference between an organic mixed greens salad and a non-organic iceberg lettuce salad. We want taste and nutrition all rolled into one. But we also don't want to drastically change the way we eat. 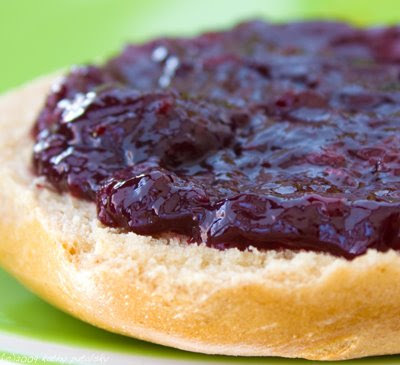 And that includes being able to slather our whole grain bagels, muffins and toast with a bit of spreadable fruit. But conventional flavors and non-organic ingredients will not suffice in this 'make it healthier' world. So what do health guru's, nutrition label readers and superfruit lovers do? 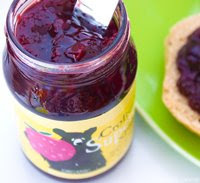 Turn to the new Crofter's Superfruit Spreads. 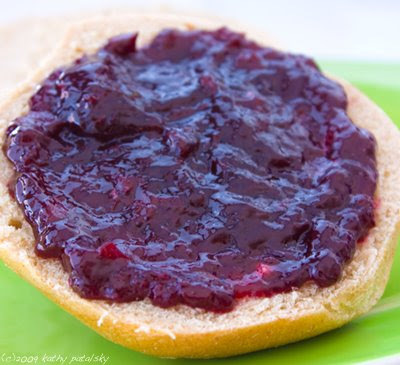 Worldly concoctions of spreadable organic superfruit. Did I enjoy my taste-test? Let's just say that I won't be buying generic grape jelly for a long long time once this product hits my local store shelves! History of Jam. 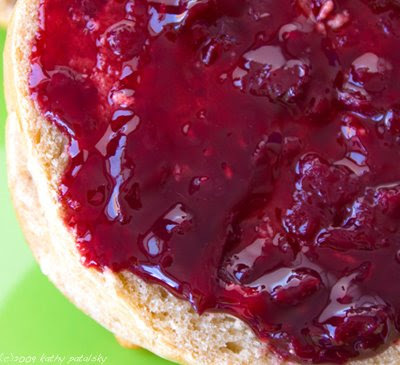 The history of jam can be traced back to the 16th century. 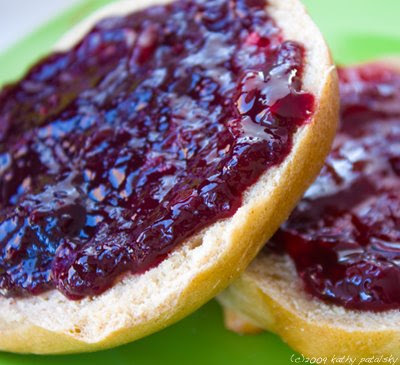 And here in America, Jerome M. Smucker (of Smuckers jams and jellies) prepared apple butter back in 1897. He signed each crock of butter by hand to validate its high quality. 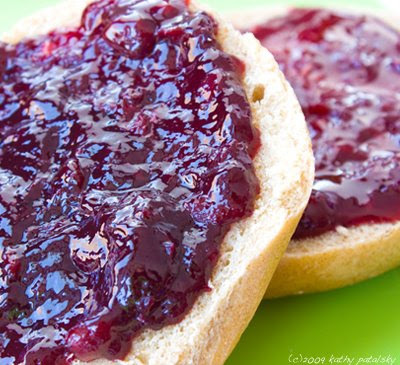 A grape jam patent was first issued to Paul Welch in 1917 for the puréeing of grapes. He called the product “Grapelade.” The entire production was purchased by the U.S. Army and shipped to France for consumption by the troops during World War I. When the troops returned to the States after the war, they demanded more of this “Grapelade,” and it was produced in quantity. Shelf Appeal: Cute brown bear grasping a big piece of gooey superfruit on the brightly colored labels. Cute. The flavors are labeled by continent. There is one for Asia, North America, Europe and South America. I wish the Superfruit text was a bit darker, it's written in white. And oh, I wish the bottles were bigger! I went through mine incredibly quickly. Label Check: Wow! 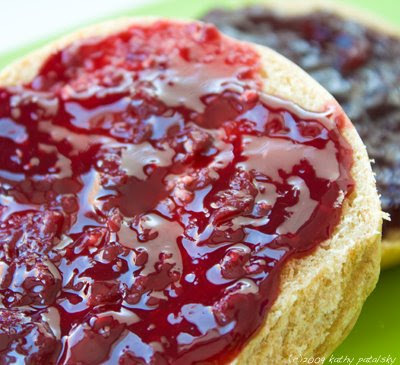 The ingredients in these superfruit spreads are my wish list of jam ingredients! Pomegranete, acai, yumberries, blueberries, raspberries, morello cherries, red and black grapes and more! What incredible and exotic combinations of superfruits. The color of the jams are so dark and chunky. I can taste the superfruit antioxidants in each bite. All organic. About 30 calories per Tbsp serving. Fat free and about 50% RDA of Vitamin C per Tbsp. They are sweetened with organic fair trade cane sugar and traditional fruit pectin is used as a thickener. Label check approved. Taste Test: Honestly, I wasn't expecting much from another fruit spread. So when I bit into my toast spread with a thick layer of the North American blueberry-heavy spread, I was blown away! This stuff is amazing! It tastes like the $12 bottles of 'really high quality jam' I will buy in specialty stores here in NYC, only it's healthier! It's packed with delicious tart, sweet and gooey superfruits that not only make your taste buds come alive, but make you feel really good about eating it. I cannot wait until this comes out in stores, because I will be enjoying it on my toast, oatmeal, soy yogurt, soy cream, bagels, sandwiches and desserts! Price Check: $4.99. Great value for the superfruit nutrition and taste packed in these spreads! Last Word: I could eat this sweet tart superfruit spread with a big spoon. In fact, I did! Yum. The future of jam, in my superfruit world. *note final bottles may differ in appearance.